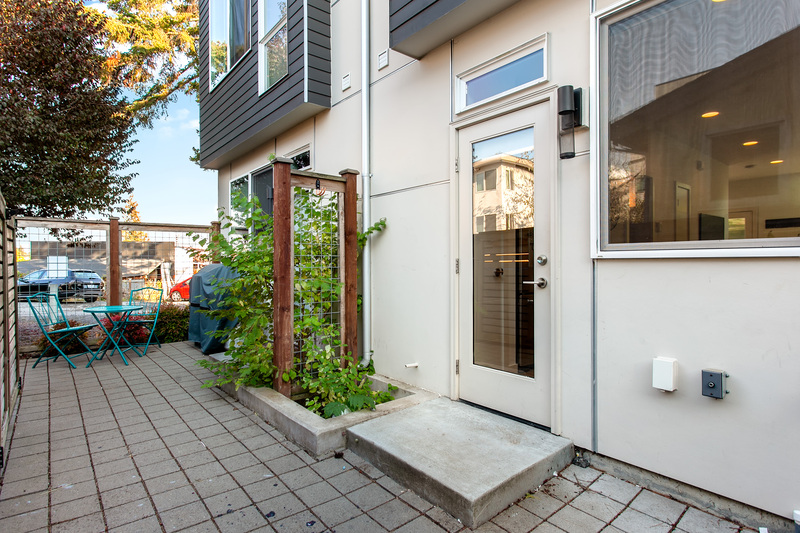 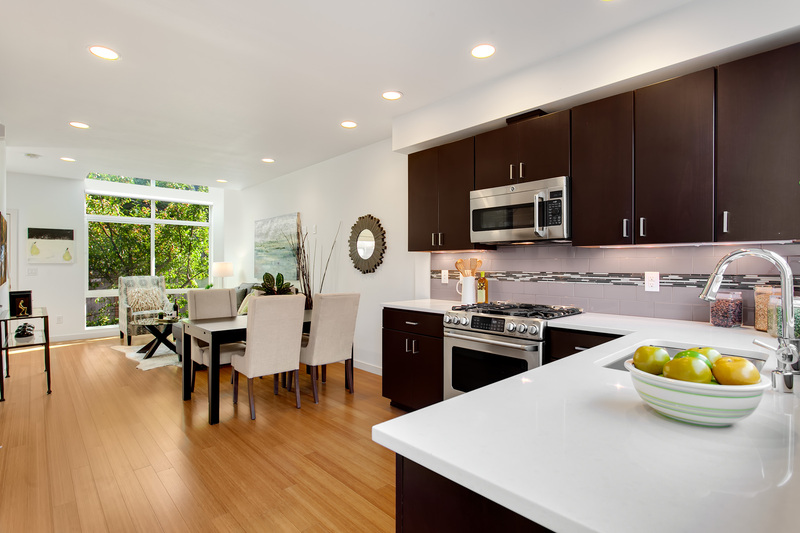 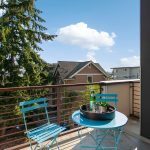 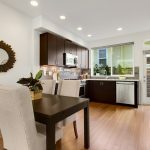 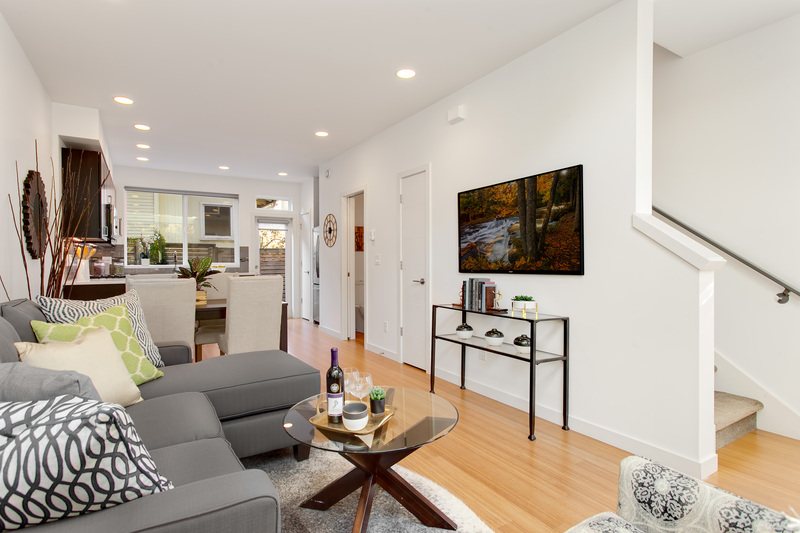 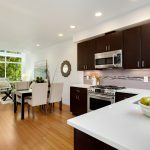 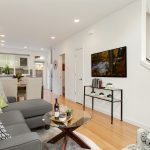 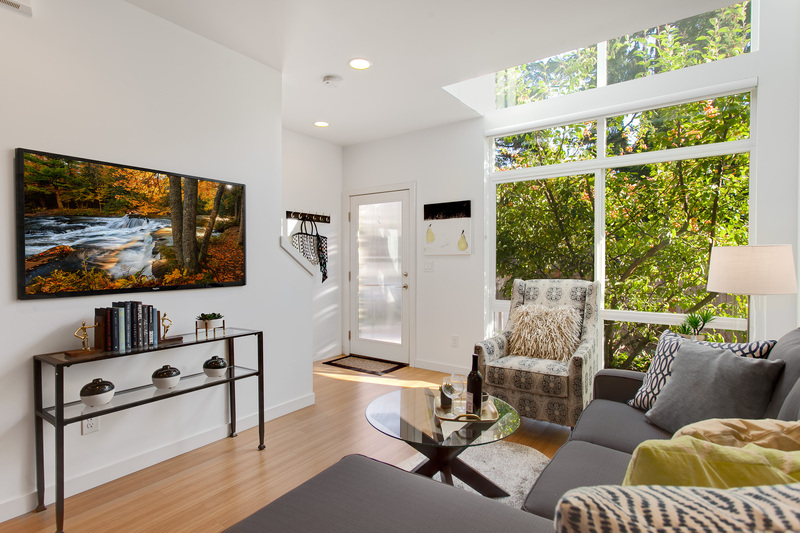 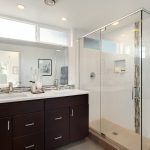 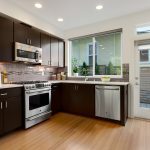 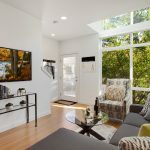 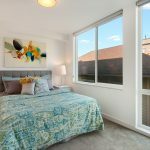 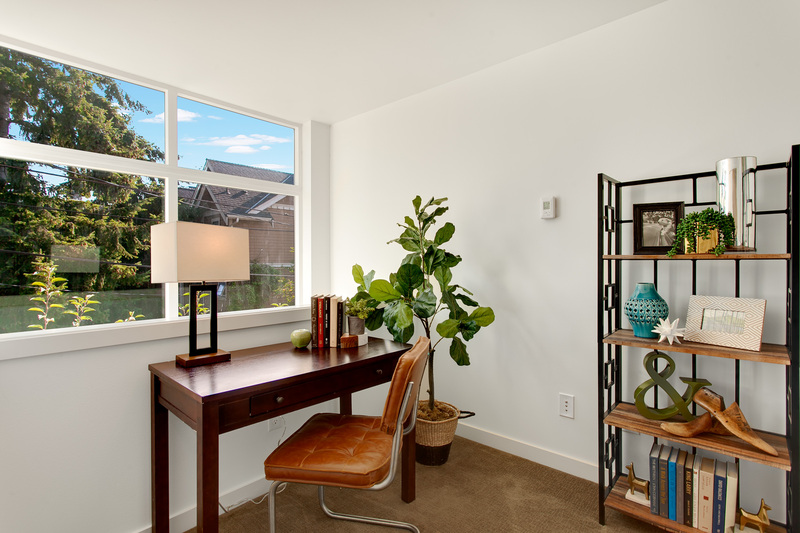 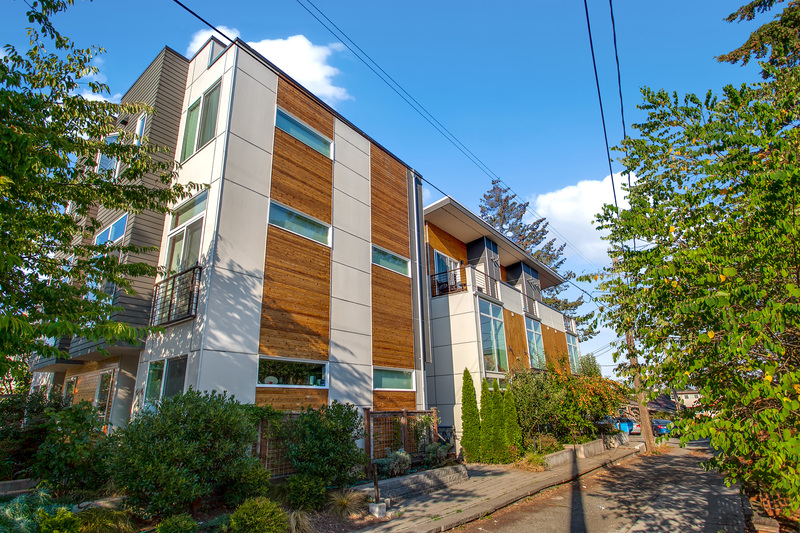 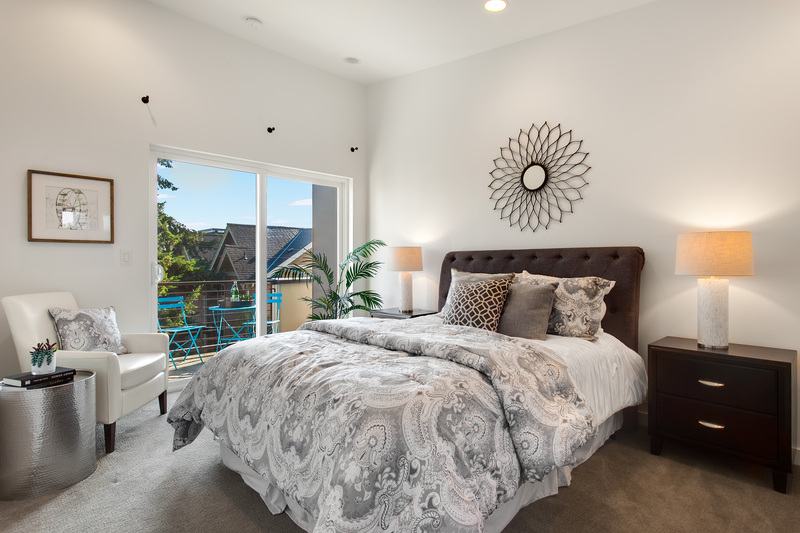 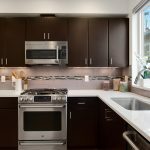 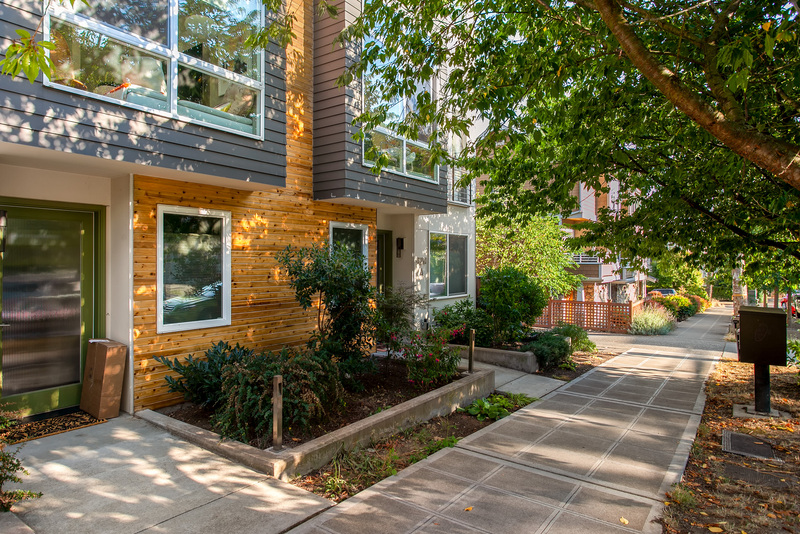 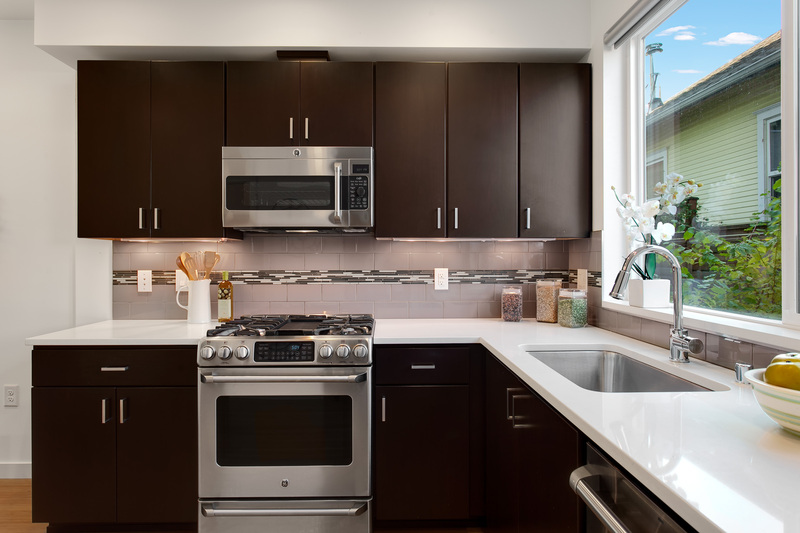 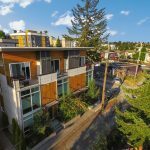 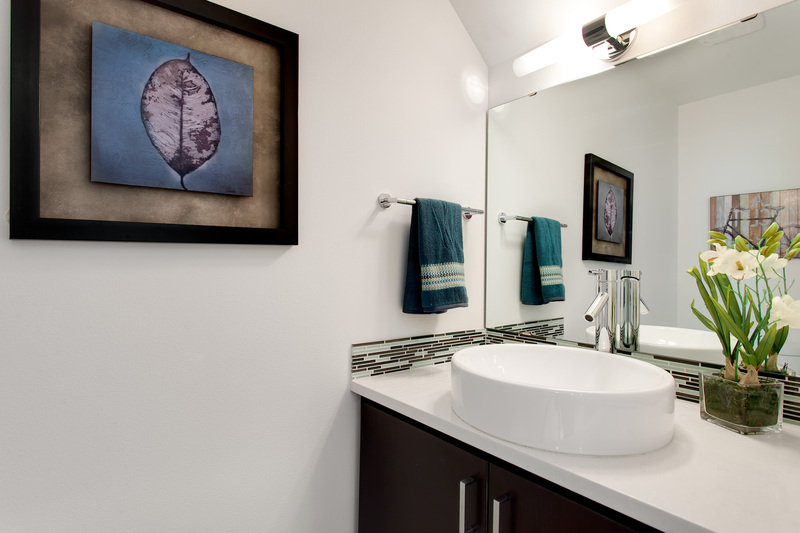 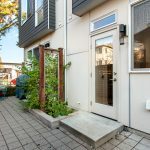 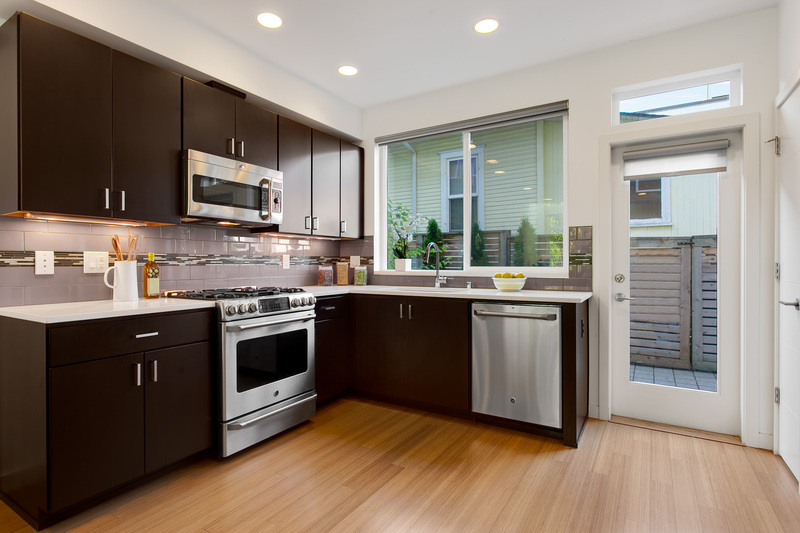 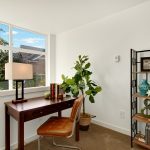 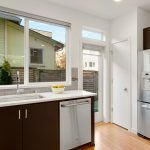 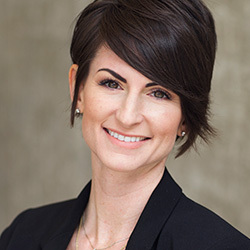 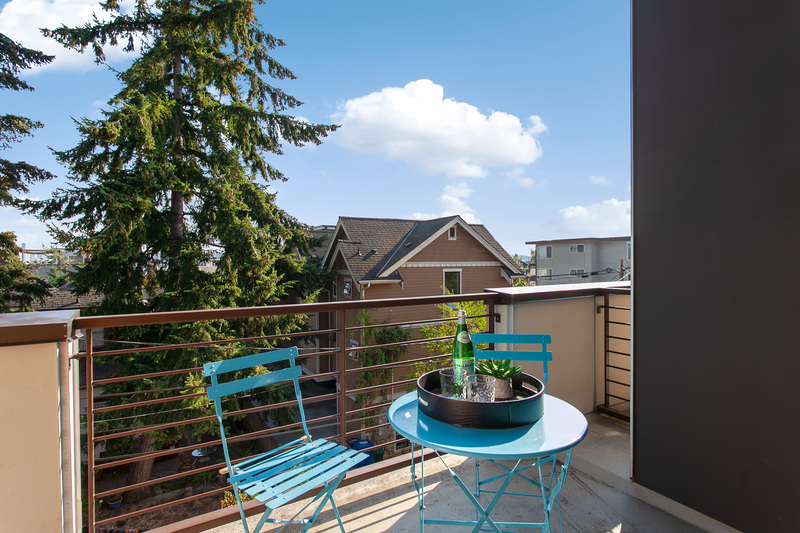 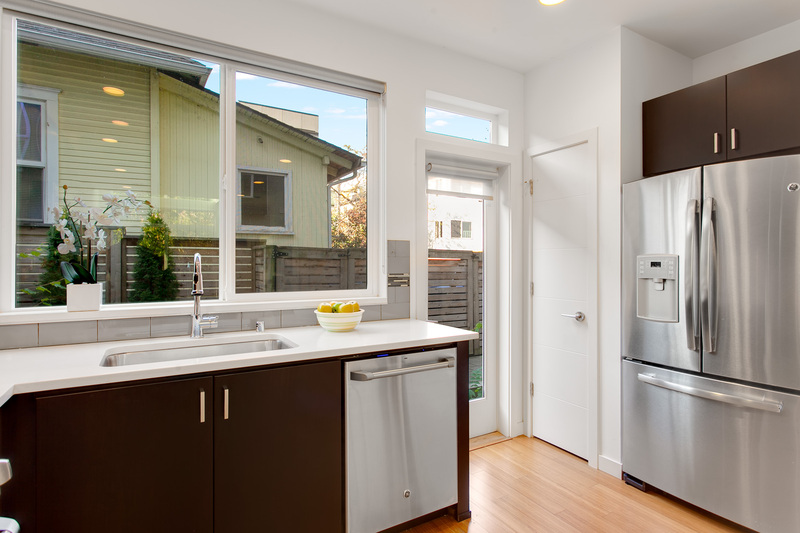 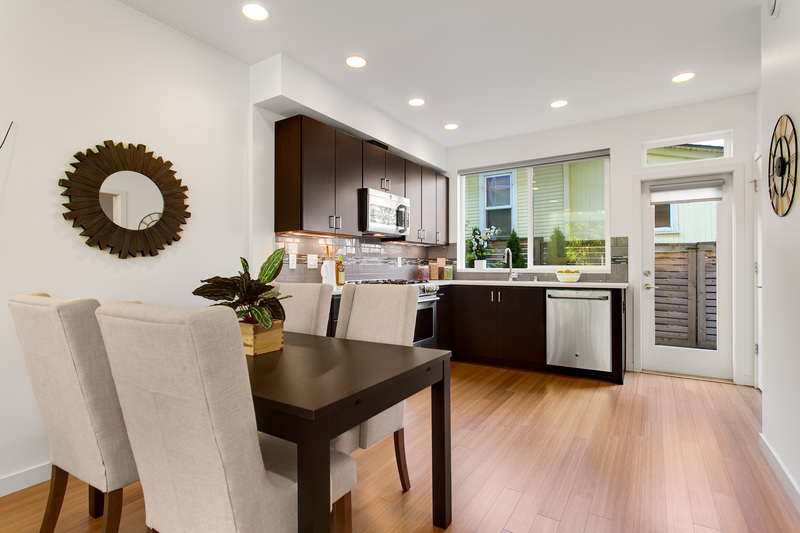 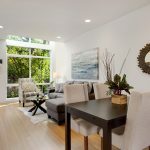 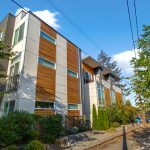 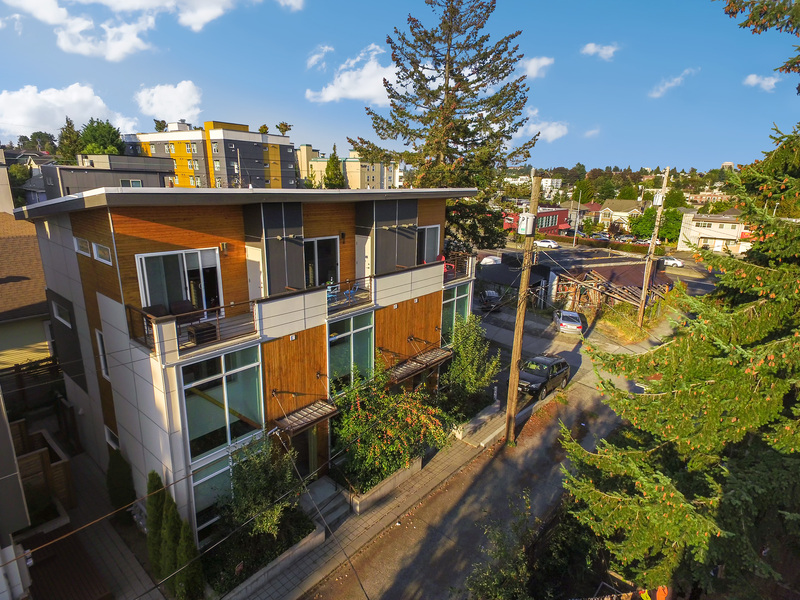 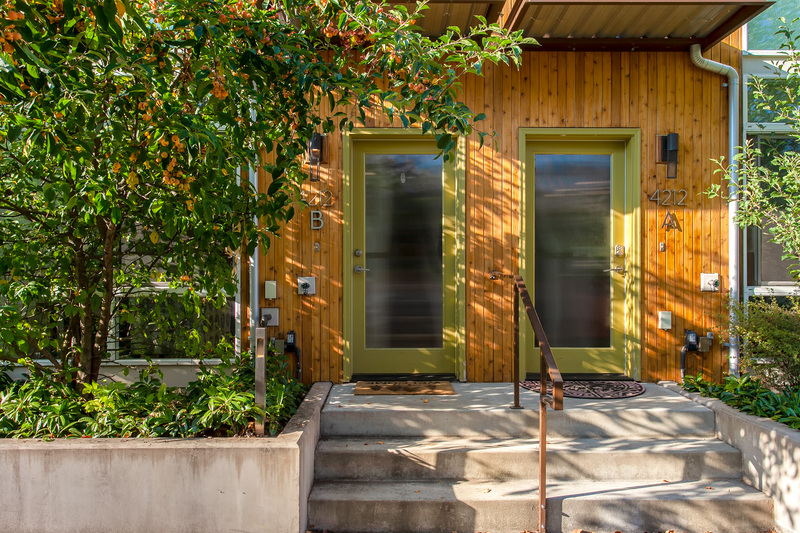 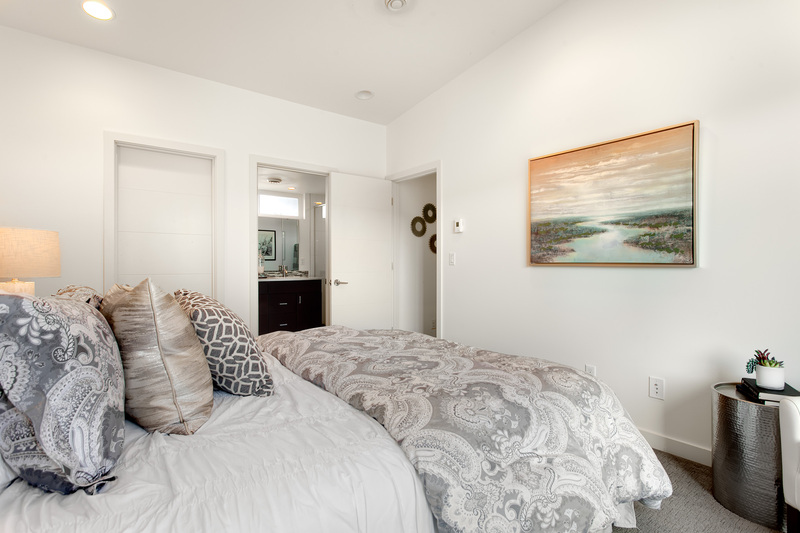 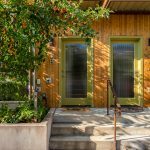 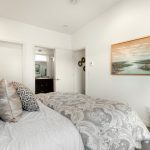 This contemporary chic 2 bedroom+den home is nestled in an undeniably amazing Fremont location- steps to local parks, restaurants, cafes and grocers, AND just a quick jump on 99 to be downtown in minutes via car or bus! 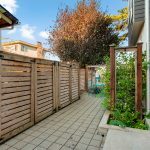 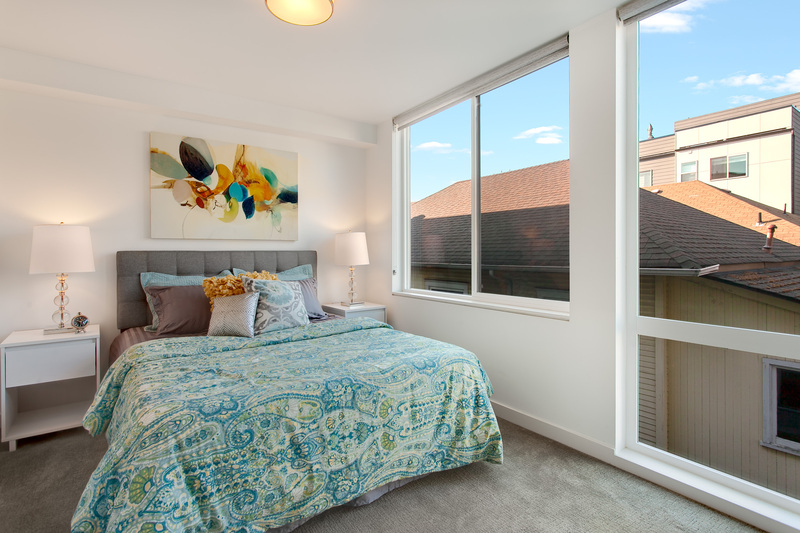 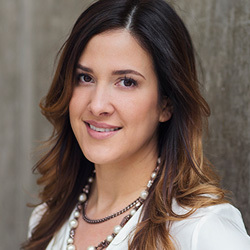 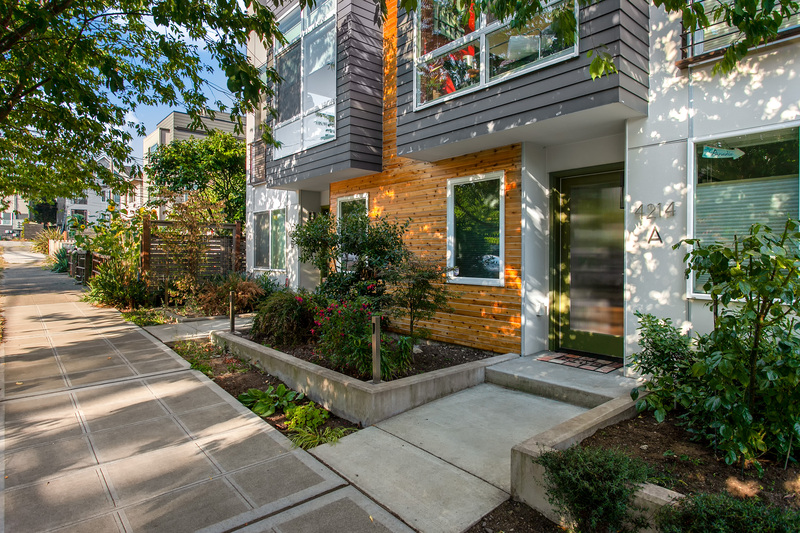 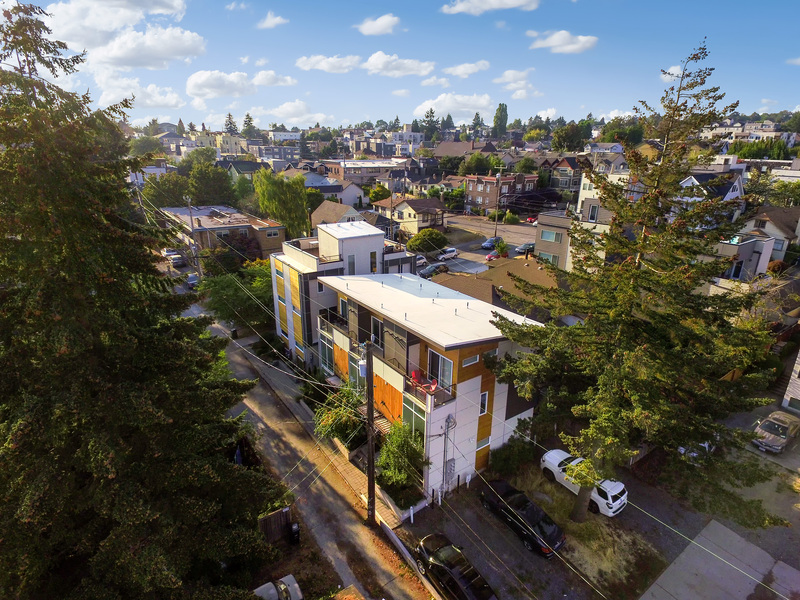 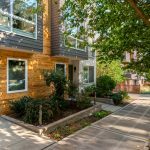 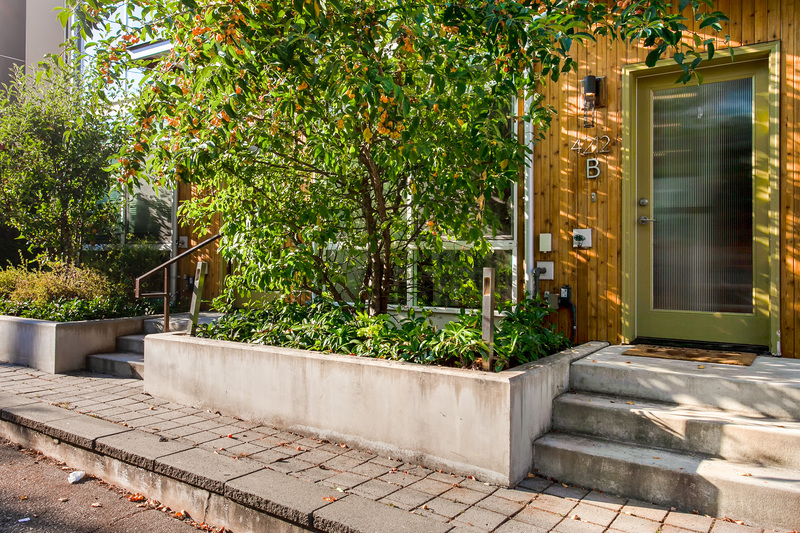 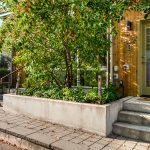 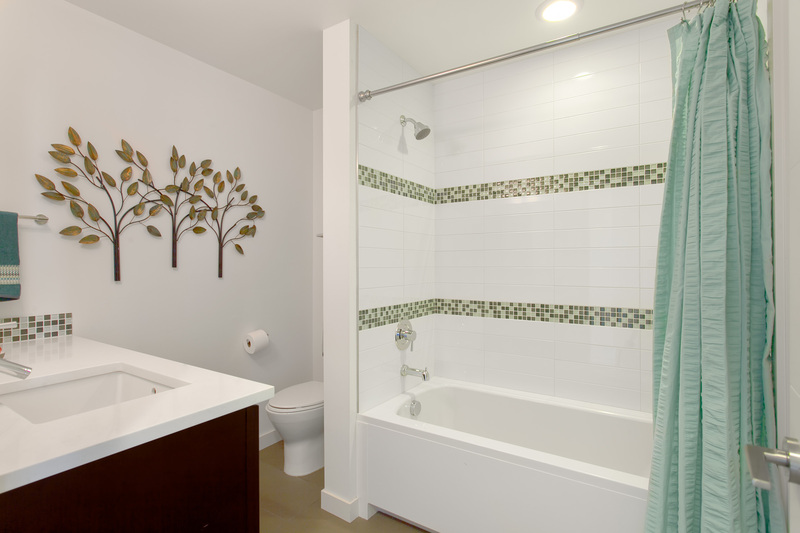 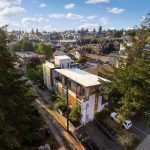 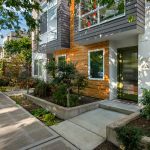 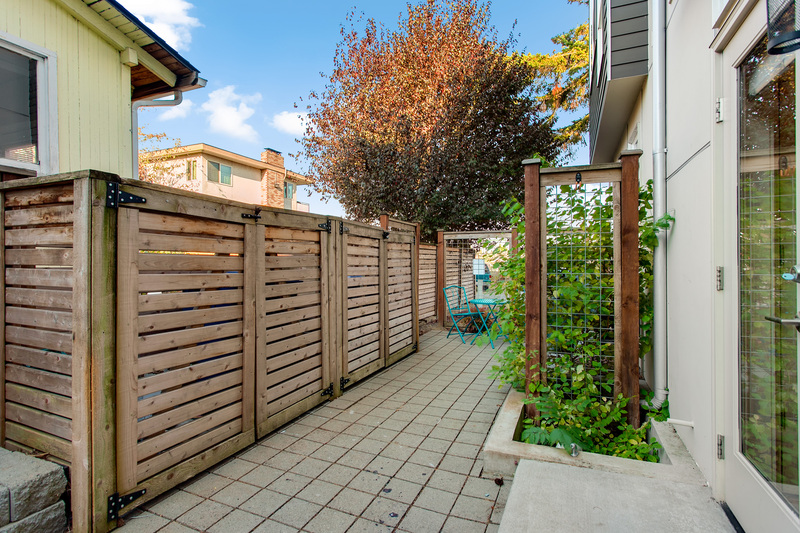 Built in 2013, only 5 homes are situated in this quiet yet vibrant townhome community, lined with lush fruit trees and greenery, offering dedicated off-street parking and flexible-use outdoor space. 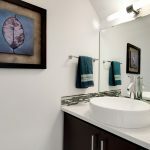 The well designed open floorplan offers a fully equipped chef’s kitchen with stainless steel appliances (gas stove); spacious and bright enclosed home office; guest suite with an adjoining full bathroom; & a private upper level master suite with a spa-inspired bath, walk-in closet, vaulted ceilings, and southwest facing terrace featuring partial skyline views! 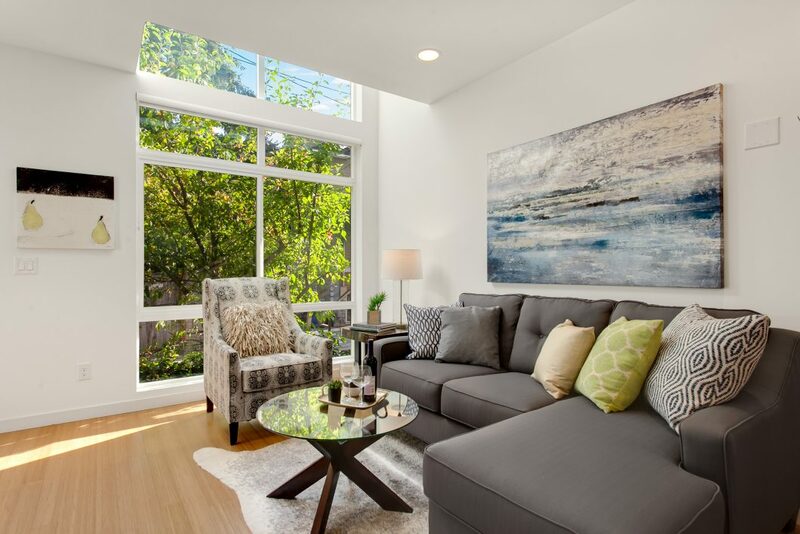 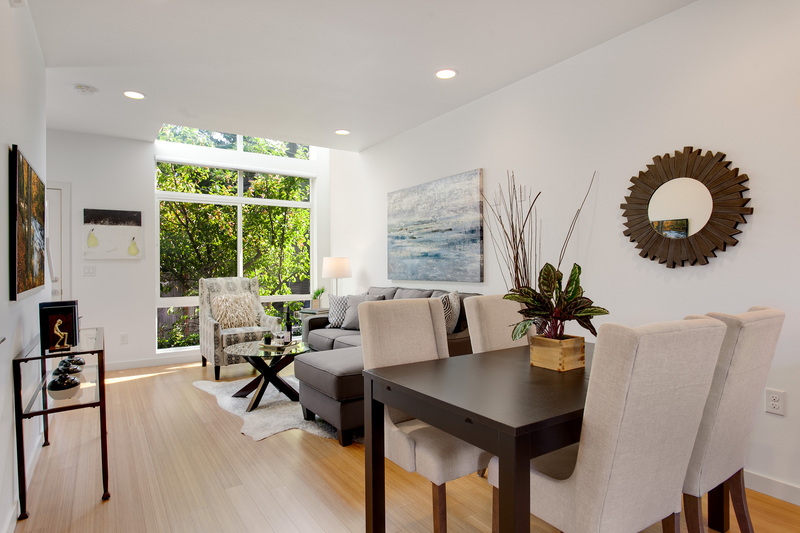 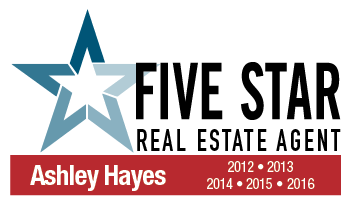 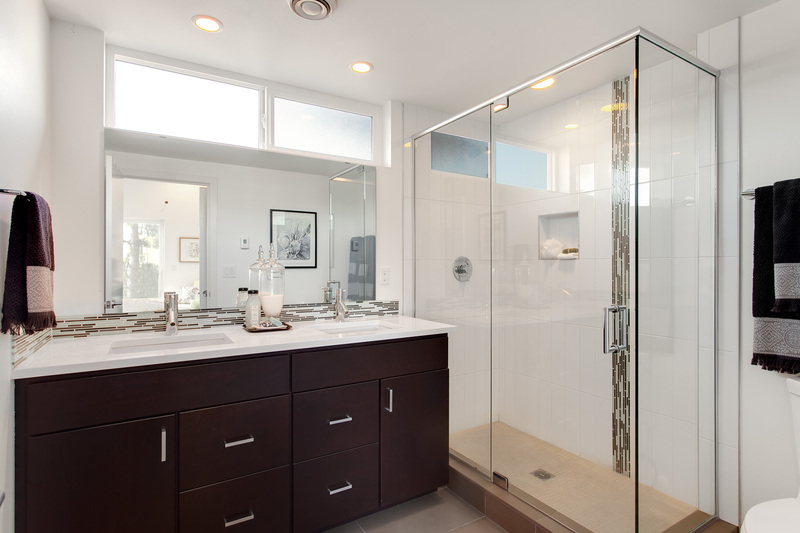 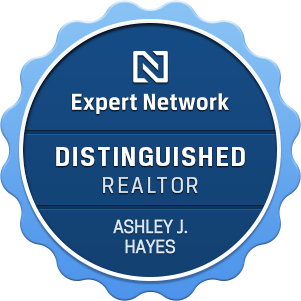 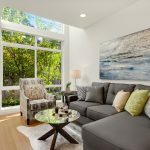 Modern touches, tons of storage space, high ceilings and natural light – a must see!